Make the most of a compact space with this Sonata shower stall, featuring a high-dome ceiling. Ledges are conveniently integrated into the wall, offering plenty of room for shampoo and other shower essentials. The stall is predrilled for the Sonata accessory kit, consisting of a grab bar and shelf. 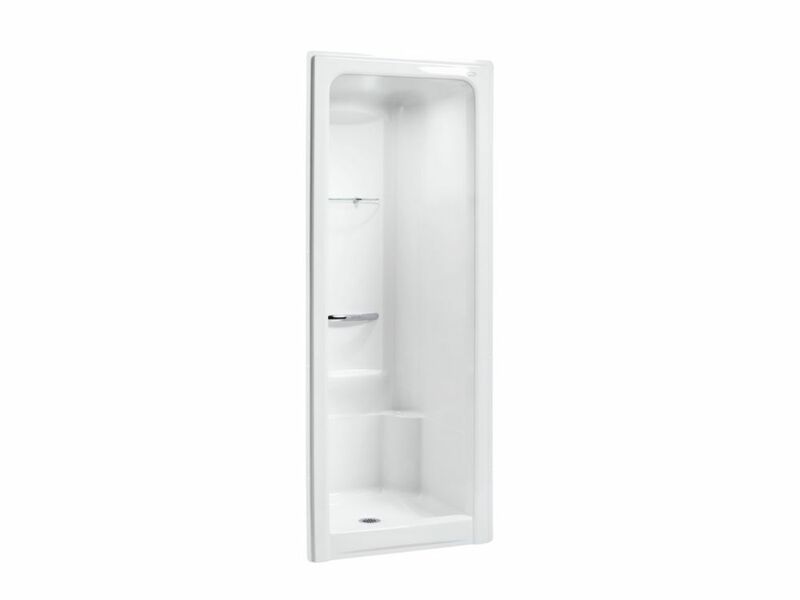 Sonata 36 inch X 36-1/2 inch X 90 inch Shower Stall in White Make the most of a compact space with this Sonata shower stall, featuring a high-dome ceiling. Ledges are conveniently integrated into the wall, offering plenty of room for shampoo and other shower essentials. The stall is predrilled for the Sonata accessory kit, consisting of a grab bar and shelf.